With the Terrafors a precisely controlled environment can be created to select and cultivate microbes specifically related to the treatment of solid and semi-solid waste and contaminated soils. These include bacteria, yeast and fungi with aerobic, micro-aerophilic and anaerobic requirements across a range of temperatures. The base unit provides the support and lifting mechanism for the bowl shaped vessel. Its main functions are supply of air and gas, mixing and temperature control. The base unit is usually connected to the operating panel but they can be separated at any time. The Terrafors are controlled by the X-fors high performance digital system that can handle up to four base units as well as connections with peripherals such as balances, external pumps, analyzers for exit gas measurement, biosensors or mass spectrometers. 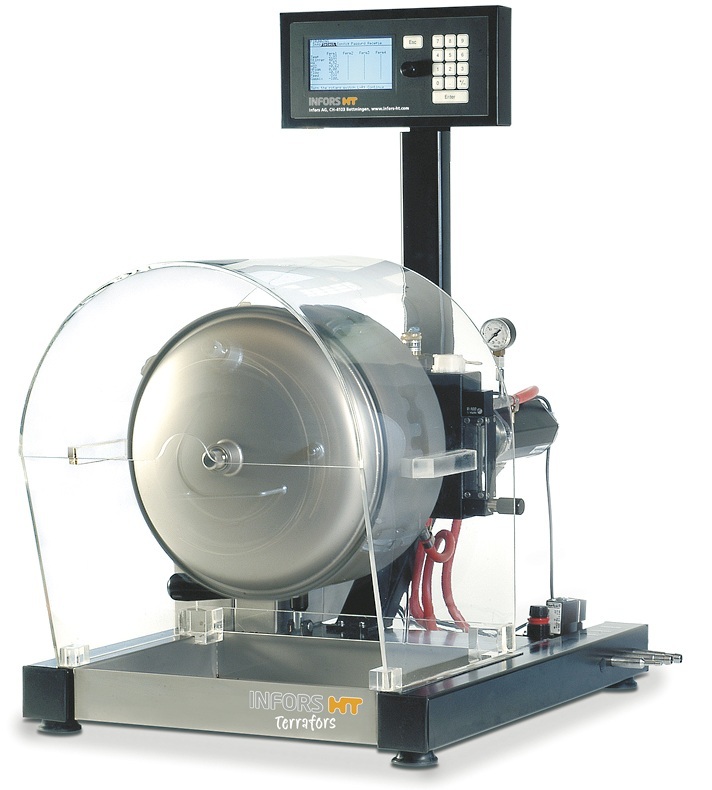 The Terrafors vessel is a 15 liter rotating drum with internal baffles, for mixing samples sizes of 3 – 4 kg of solids such as soil, semi-solids such as sludge, and liquids such as oil. A tight silicone seal prevents leakage when liquids are used. Two 20 mm ports and a central inlet pipe provide access for sampling and addition of feed or reagent. 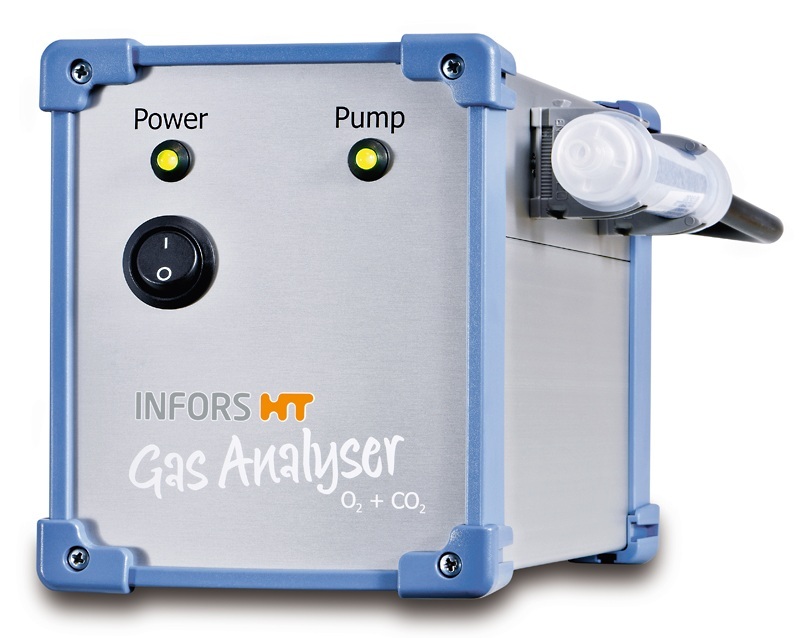 Each Terrafors is built to suit specific needs, with options such as the INFORS HT Gas Analyser for exit gas measurement and analysis. The Terrafors-IS features an automatic in situ sterilization system that uses direct steam injection at 134 °C. An optional steam generator can be mounted on the base for ease of use. Call Rose Scientific to assemble a Terrafors laboratory system to satisfy your application.